Born in Detroit, Chazzy initially received classical training in clarinet and flute. However, something deep inside beckoned to his spirit and drew him to alto and tenor saxophones, as he began to explore blues, rock, jazz and fusion. While attending Howard University to continue his music studies, Chazzy discovered that his musical roots extended back to his grandfather, who had played trumpet in an all-black brass band in the 1920's. He subsequently found that his family's musical artistry stretched out to include other family members who were well known in the music industry, specifically Lester Bowie and Byron Bowie, esteemed musical legends and founders of "The Art Ensemble Of Chicago". 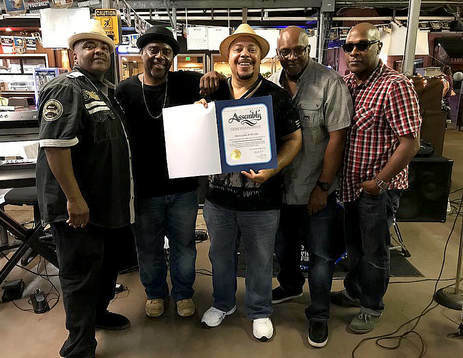 Motivated by the musical blood pulsing through his veins, Chazzy gravitated toward musical influences that included Sonny Stitt, Cannonball Adderley and Eddie Harris on saxophone, as well as Earth Wind and Fire, Kool and The Gang, Ohio Players and Jimi Hendrix. Having established his past and his purpose, and having achieved an early #2 hit (“I Just Can’t Control Myself”) as a member of the group Nature's Divine, Chazzy left Howard and headed for the music mecca of Los Angeles. Upon arriving, the guitar great Ray Parker Jr . took him under his wing and showed Chazzy the musical ropes, "L.A." style. Working with Parker, Chazzy contributed in 1982 to the Golden hit “The Other Woman” and in 1984 to the Platinum hit “Ghostbusters”. 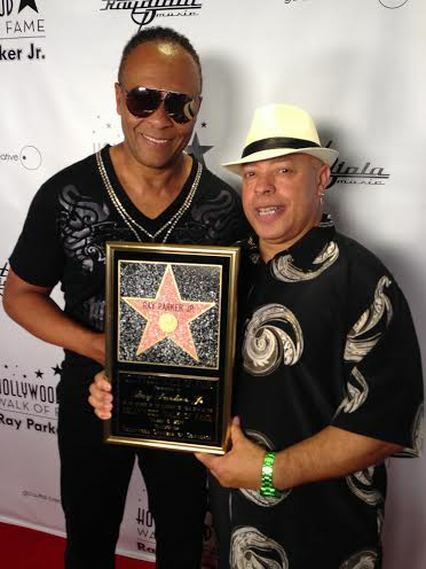 He also met and became friends with gospel legend Howard Hewitt, who invited Chazzy to play in his band. Over the years, Chazzy became more and more sought after and performed in 1994 on Montell Jordan's hit, “This Is How We Do It” (Platinum), in DJ Quik's 1998 “Rhythm-al-ism” (Gold) and in Macy Gray's 1999 “On How Life is” (Multi-Platinum). Chazzy toured with the Brand New Heavies, Tracie Spencer, Caron Wheeler, DJ Quik, WAR, Johnny "Guitar" Watson, Cameo, and the late legendary Bobby Womack. He is currently on tour with his group Chazzy Green & The Green Backs, The Brothers Johnson and Ray Parker Jr. & Raydio. Chazzy frequently tours in the Netherlands and Japan where he has recently performed his own shows promoting his last album "The Funky Sax Man" and his earlier albums "I Wanna Sax U Up!" and "Street Sax". Indeed, in Japan, where Chazzy lived three years and speaks fluent Japanese, he is something of a legend, celebrated by music lovers across the country. His distinctive brass-and-black alto sax was given to him by Yamaha. Chazzy Green is a dynamic, soulfully entertaining artist who you can't stop watching or listening to! He's one of those rare performers who becomes one with his instrument and completely owns the stage. But his extraordinary range also allows him to blend in perfectly as a supporting musician when other talents command the spotlight. Chazzy's musical virtuosity connects from his sax and flute straight to your spirit. And, as a composer, his thought-compelling compositions uplift the heart with their toe-tapping rhythmic grooves and melodies that you will sing for hours. 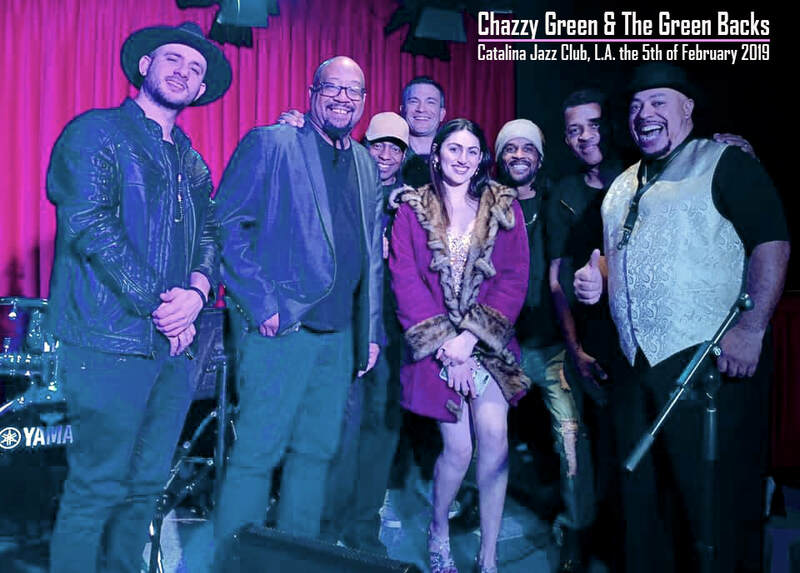 Get ready for the Funky Sax Man, Chazzy Green, when he comes to a venue near you. He will Sax U Up! We all go through changes and challenges in our journey through life. At the right time and place, there will be someone who will put his hand on your shoulder and say or play "It's Alright". And it will come through clean and clear with a positive smile and a Detroit accent!